As we made our way from Saigon to Buon Ma Thuot (or as I knew it, Ban Me Thuot) the low lying farm lands turned into gently rolling foothills covered with coffee fields being tended by local farmers living along the edges, just as the rubber plantations had been during my time before. Night began to fall and we ran into a series of storms at the edge of the Central Highlands – my mind flipped and I remembered how darkness and rain actually became a good thing as they masked movement and noise and helped us deceive the enemy as to where we were and what we were doing. 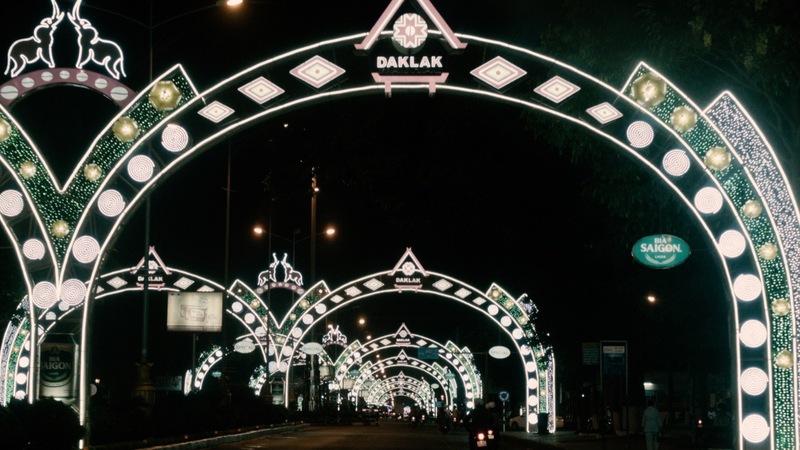 The rain slackened as we approached Ban Me Thuot and the city streets were covered in arches of lights – there must have been a festival or something, but everyone joked it was a gala reception for my return. 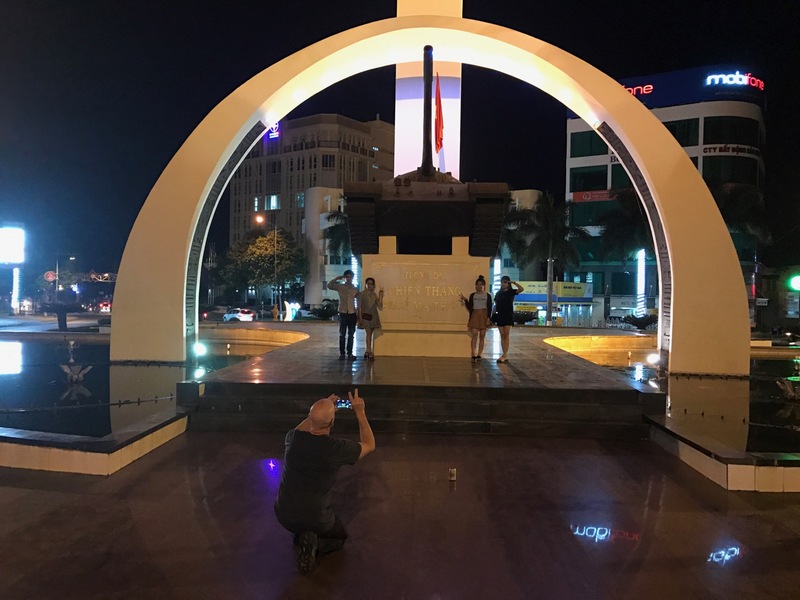 The wide avenue we entered on led us to the central roundabout with a centerpiece that had a majestic arch with a T-55 Soviet Tank celebrating the “liberation” of the city by North Vietnamese forces. After a bit of confusion finding a hotel we settled on one directly on the roundabout and then wandered over to the monument. Some local teenagers were taking pictures of each other and then asked if we would take a group photo for them. People are the same the world over – enjoying life and making the most of it. I marveled at how much BMT had grown and flourished over the years and how it has become a very metropolitan area now as opposed to the small sleepy city I remembered. The next morning we drove out to East Field where our camp had been. The camp was long gone, the buildings torn down and the jungle had reclaimed the site. The small dirt and oil airfield that was adjacent to the camp has become a regional airport, much like those in any small city in the US. The hill southeast of the camp that we used for a radio relay sight was clearly visible and brought back memories that are recounted in the video. Some of them funny and some of them a bit scary. 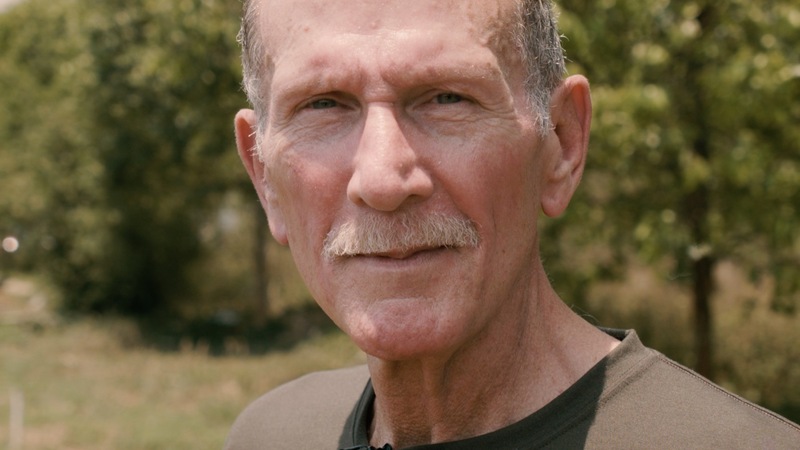 The red clay dirt is still there – I think I’ve still got a pair of jungle fatigues with that clay imbedded in them at home in Fayetteville. As I stood near where our camp had been, with butterflies in the background, memories came back of past times – as a friend said the other day, some good and some bad. That’s what life is made of, good and bad memories and it’s how we deal with them that counts.